Before I read my prepared text I want to say that death is a terrible deprivation. With all our sense of her continued presence, Leslie will not walk in the door and tell us what she thinks of all this. There will be no more wonderful dinner conversations with Leslie in all her gravitas and humor; no more wide-ranging discussions with Leslie and Tom about theater, dance, politics, science. There will not be the ongoing surprises of her extraordinary new work. This is an incontrovertible fact of death, a devastating one. I’ve been thinking a lot about courage lately, and it’s relation to poetry. Leslie Scalapino is one of the most courageous poets, persons I’ve known. With her startlingly brilliant mind, her enormous capacity for love and joy in the midst of pain, her writing has been a form of life in which contingency, that is, reality in it’s shimmering of presence/absence, has been the filament of one of the most expansive poetics of our time. In so far as I notice myself trying to change or avert reality by the writing, I had to recognize that motive, note where it’s occurring, which is fantasy. Rather, the writing should be pushed to be itself // only concentration – in which is one’s fear, anger, etc. Anger and distortions of clarity are of the nature of perceiving that reality. It can’t be otherwise. The text eliminates subjective grounds. There’s extreme pain without it. One has to be fragile to be without protection in this reality. This eliminates the separation between writing and realistic rim. Also to push ‘it’ to where even weariness causes it (no difference between weariness and the horizon and writing) ----to collapse on itself where it’s still, visibly flapping. I wanted to get the writing to the point of being that still. Joan Retallack is a poet, critic, and Bard College Humanities Professor. But she wants thisto read: Joan Retallack is a poet who has gained much illumination from Leslie Scalapino's poetry and friendship. How many writers have penetrated my dreams? It was a large box and Leslie had sent it to me and I did not know what or why however I was pleased. The box was as wide as my rib cage, antiquated and wooden with metal clasps. It was heavy. Someone looked at me curiously and said, this is what happens, as if I should have known. One receives so much from those writers beloved and the chest is represented physically by an object which stands for a territory that would have been otherwise hidden, but now appears. Latticework and layered shelves containing jewels. They are precious and I am surprised, but I know they do not belong to me. This is just looking at what would have been otherwise hidden, a richness of possibility. Will I have to return it, I wondered? Of course, the chest will continue traveling in order to exist. It wasn’t real was it? Like the dream of walking into a bookstore and seeing a book one had written before one had ever written any book, not even a first book. But the intangible is as real as the unreal, considering manifestation as a result of the received and the imagined. There was an elegance in the scrollwork on the chest. Something was dripping. I want to say eyes or jewels were dripping, as in a glance in a dark secreted place which gleams or reflects another light, when the source of the light is unknown but the bright spot appears all at once and surprisingly, rises up to meet one. 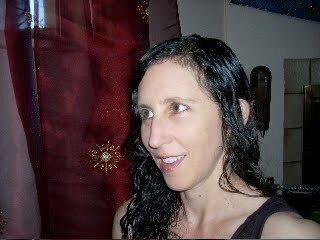 When I first began reading the work of Leslie Scalapino I was immediately struck and also stricken with the immediacy and fluidity of a vast assortment of images combined and probing into the nature of perception, desire, physicality, mindfulness and music. That’s a mouthful I couldn’t have articulated as I began reading, but accumulated more and more as I continued to read the many works which she wrote and which became increasingly over the years crucial to my development as a writer. Mostly when I think of her work I think of intensity. Heavily peopled scenes. How the image interacts, enters. Contrasting cultures and questions of movement, how the mind moves through the thick colorful collages of life-being. She presents them painted, photographed, interrupted, fragmented, but most of all incanted. Not sung but urgently and precisely placed, intoned. With each new work more layers and locations emerge, yet her style of writing remains both recognizable and also evolving, sinuous, alive. I was struck by her willingness to examine the animal nature of being in many lights: sexual, vital, vulnerable, violent, failing. I admire the combination in her work of meditative inquiry and a non-sanitized view of the wide range of capabilities of human mind/acts. I was struck with her generosity, her presence, her honesty, her concern for others. I was struck with her momentum, her cadence, the way her prose was always scored upon the page musically, and as reader/performer of her own work by both her urgency and also gentleness. Leslie was one of the first poets to publish my work, in an O books compilation, Subliminal Time. She was incredibly supportive and a careful reader always. She was also adamant about correctness in how others perceived her poems. I recall once introducing her and her objecting to the way I had used a quotation of her work to express something I felt also reflected her vantage on writing. She got up on stage and said, “but that was a poem.” She was particular, confident, unafraid to express but also kind. I walked up to the front door of Leslie and Tom’s house carrying orchids. What could I bring? I was told I could not bring dinner, could not bring anything. End of April, 2010, just a few weeks before Leslie’s passing. Still a chill in the air. Light rain. When I walked in I thrust the flowers forward but no one was taking them. We made our greetings. I did not know what to expect. She’d been in chemo. But she looked vibrant, her face clear her eyes bright, elegantly dressed. Work stacked everywhere and wanting to talk about work and finally she took the orchids from me and said, I didn’t want to take them because the way you walked in holding the orchids you looked like a painting. I didn’t want to interrupt the portrait she said, and we laughed and sat down with her fluffy white dog like snow at her feet. Geometric shapes blew past, and artwork and cups of elixir and books blew past, proofs of her forthcoming book, The Dihedrons Gazelle-Dihedrals Zoom - recollections of poetic events, voices and unencumbered we talked into the night. Leslie and Tom so endeared toward each other, as if there were no difficulty. How are you feeling, I ask, and do you want to talk about how it has been, in treatment? Her only frown. No, clearly no, one word was enough, was it awful or terrible, the word she used, or was it simpler, something like rough? Or was it only a glance, geometric shapes brushing past us representing thought forms? She would rather speak about work, recent readings and proofs of new books and books lovingly everywhere on every surface rich and orderly in a lovely house with time somewhat pleated. In the last remaining light I had walked up the steps and later departed with every confidence for her full recovery. So bright, so bright, I told myself, no harm must ever touch such a strong and generous presence. Nothing so bright as the source of light glinting from the darkness, a smile in a doorway and parting and walking away from the house much later in the dark the night seemed incomprehensible, time passed or passing illusory. 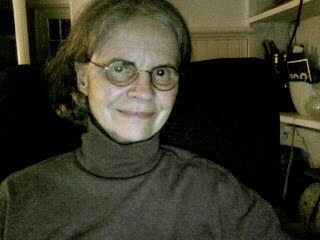 Laynie Browne is the author of nine collections of poetry and one novel, including The Desires of Letters, The Scented Fox, and Daily Sonnets. She is an editor for Tarpaulin Sky and Trickhouse, and is one of the directors of the POG reading series in Tucson. 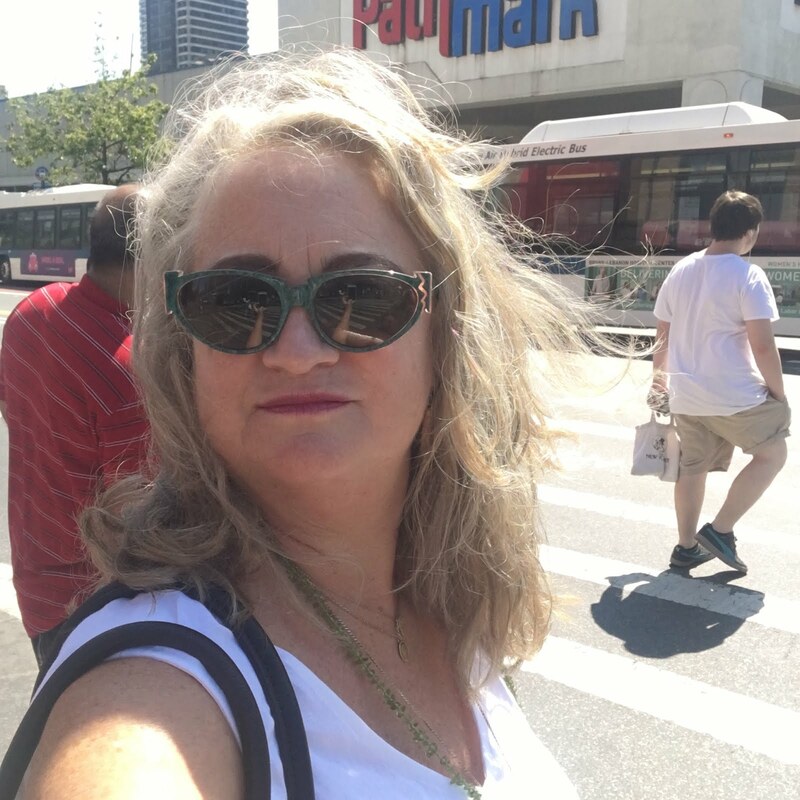 She has taught at a number of poetry programs, including Naropa, and currently is developing an interdisciplinary writers-in-the-schools program at the University of Arizona.